On Sunday afternoon, Liverpool and Everton will clash in another running of the Merseyside Derby, which has been played for over 100 years. Over that time, Liverpool has won the match a total of 92 times, with their biggest victory coming in 1935 (6-0 win). This game is called the Merseyside Derby because it matches the two biggest teams from Liverpool, Merseyside, England against each other. Liverpool is off to a great start so far this season, as they have taken the momentum from a finals appearance in Champions League last year and carried it over into the English Premier League this season. The result? Liverpool is just two points off of Man City at the top of the table, as they currently have 33 points, while Man City has 35. Liverpool is hopeful to create some distance between themselves and the likes of Tottenham, Chelsea and Arsenal. Everton, on the other hand, currently sits in 6th place with a record of 6-4-3. Everton can't really hope to compete for a Champions League spot, though they will surely try hard to claim a spot in Europa League. Liverpool is currently in the midst of a long unbeaten streak, as they have recently notched wins over Watford and Fulham. Everton has also played well as of late, as they are unbeaten in their past three games. As a matter of fact, Everton's only losses over the past couple of months have come at the hands of Manchester United and Arsenal. 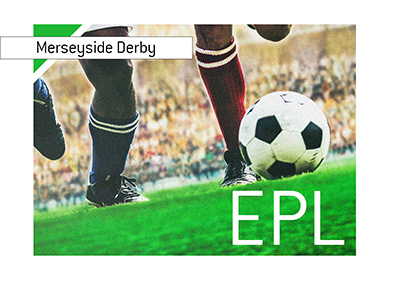 Can Liverpool keep pace with Man City at the top of the table, or will Everton pull off the upset?